Siena is situated in Central Tuscany and impresses with beautiful museums and churches, small narrow streets and great Italian restaurants. One of Sienas most famous sights is the famous “Piazza del Campo” – undoubtedly one of the most beautiful places in Italy. Lined with lovely bars and cafes Piazza del campo would be the perfect place for a real Italian “aperitivo” after a civil wedding ceremony in the Siena city hall or wedding ceremony in one of Sienas many churches. 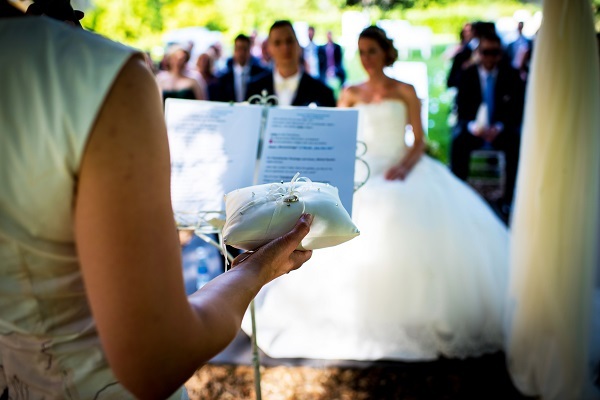 Perfect Wedding Italy is pleased to plan and organize your destination wedding in Siena! A civil ceremony in Siena can be celebrated in the wedding hall of Palazzo Pubblico right on the ancient main Square of the beautiful Piazza del campo. Palazzo Publicco is a medieval building with Gothic architectural details and an impressive tall bell tower – “the Torre del Mangia”. For a catholic wedding in Siena we suggest the impressive Cathedral of Siena situated right in the old historical center near Piazza del Campo. In the Cathedral of Siena couples can choose to get married in a catholic tradition with legal validity. Couples that choose a protestant wedding in Siena are free to choose any beautiful wedding venue in Siena such as the Italian garden of a private villa or ancient palazzo in Siena, Italy. The best months to get married in Siena are May, June, September and October. There are fewer tourists around than during summer, location fees and restaurant fees are usually cheaper and the weather is dry and warm. Only a short trip to Montepulciano, Florence and San Gimignano we can plan your destination wedding in Siena full of interesting tours in activities such as Wine tasting tours, a Tuscan castle tour or a Sightseeing tour to Florence. Couples that wish to get married in Siena during summer should not miss the famous horse race “Palio di Siena”. To visit the “Palio di Siena” with all the wedding guests will be a fun and impressive experience for a real Tuscan summer wedding.